With deep regret, Hyde Hall, Inc. reports the passing of long-time friend and supporter Douglas R. Kent. Douglas R. Kent died on May 1, 2018 at the age of 93. Born on March 23, 1925 in Jordan, New York, he was educated at the University of Rochester and then Columbia University, where he earned a master’s degree. His many accomplishments include service in the U.S. Navy during WWII and a long career in insurance, during which he rose to manage the automobile division for Kemper, a company in Syracuse, New York. But the central focus of Douglas Kent’s life and work was historic architecture and historic preservation. 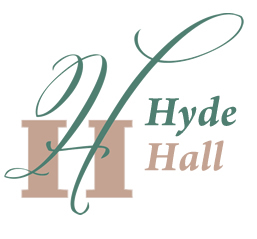 For more than 50 years he devoted his considerable talents and energy to a single structure: Hyde Hall. Kent became one of Hyde Hall’s major supporters during the time when the fate of the mansion and its outbuildings was highly uncertain. After five generations of Clarke family ownership (since 1817), Hyde Hall and its 600-acre picturesque park were acquired in 1963 by the State of New York, which planned to demolish the site. Having appreciated the historical and architectural importance of Hyde Hall since reading about it as a boy, Kent joined Friends of Hyde Hall shortly after it was formed in 1964. This small group opposed Hyde Hall’s destruction, and Kent contributed to their efforts in many ways—writing about Hyde Hall, visiting legislators, and vigorously arguing for its preservation. An article he wrote for The Magazine Antiques in 1967 did much to establish Hyde Hall’s importance as a remarkably distinctive and irreplaceable landmark. Entitled Hyde Hall, Otsego County, New York, this was one of the first scholarly assessments of the Hall’s significance, and its publication in a respected nationally distributed magazine helped convince New York State officials to abandon plans to turn the site into tennis courts. This and the establishment of the New York State Historic Trust paved the way for a partnership between Friends of Hyde Hall and the New York State Office of Parks, Recreation, and Historic Preservation to give Hyde Hall a new future as a house museum. As part of a feasibility study he wrote to clarify the goals of Friends vis a vis Parks during the late 1960s, Kent developed the first comprehensive vision of a restored Hyde Hall. While it is true that the restorations visitors see today when touring the mansion are the fruits of many people’s efforts, it is doubtful that this astonishing accomplishment—the Clarke family’s home reborn as a National Historic Landmark and New York State Historic Site—would have happened if it were not for the passion, intelligence, guidance, and unshakable determination of Douglas R. Kent. 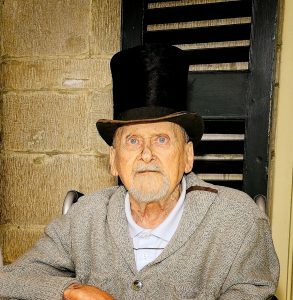 In 2012 Kent received the 2nd annual Anne Hyde Clarke Logan Cultural Preservation Award for his unmatched depth of knowledge about the history, architecture, and furnishings of Hyde Hall. An ardent and generous supporter, he underwrote the restoration of the two extremely rare vapor light dining room chandeliers in 2012 and many other major projects there. Douglas Kent’s passion for authenticity was a source of inspiration for all who shared with him the long journey of restoring Hyde Hall, now an important, Cooperstown-area museum and cultural center.